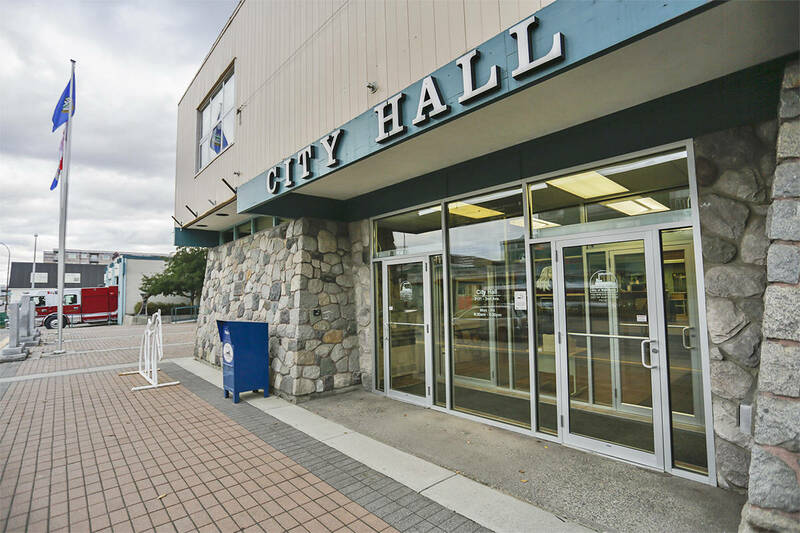 Nov. 23, 2018 1:30 a.m.
Whitehorse city council has questions about a proposed daycare whose owners want to locate downtown. During the standing committees meeting on Nov. 19, acting senior planner Kinden Kosick told council a proposed daycare is looking for a zoning amendment so it can open in a former nightclub located at the Days Inn hotel, which is zoned commercial. Kosick told council that, in addition to using nearby parks for recreation, the owners plan to have a large indoor play area and an outdoor area of 56 square meters, complete with astroturf, sand and a four-foot fence, for kids to play outside on the south-facing side of the building. He said the owners, who also operate Love-to-Learn-Daycare in Riverdale, have a 15-passenger van they plan to use to shuttle kids to offsite playgrounds. Still, Coun. Jan Stick said she was worried there wouldn’t be enough outdoor access for kids attending the daycare. Lesley Gardiner-Falle, a supervisor with the Department of Health and Social Service’s childcare services branch, told the News there is no requirement in the Yukon for daycares to have onsite outdoor play space. She said there must be access provided to outdoor play space, but that it can be either onsite or off. She also cited a host of regulations that must be met for a childcare centre (located outside a home) or a family dayhome (located inside a home) to be licensed, including meeting zoning regulations, building standard regulations, firecode, and electrical and gas regulations. As well, she said staff have to have RCMP checks completed, and the operator must submit proof of insurance, a proposed budget, and, in the case of non-profits, a copy of the constitution and bylaws. Once a business is licensed, Gardiner-Falle said a childcare inspector is assigned to the file to complete onsite inspections every four to six weeks. During inspections, they are looking for staff qualifications, child-to-staff ratios, medical health and safety standards, programming, behaviour management practices in programs and parental involvement. Coun. Laura Cabott said that, while she does think the city needs more daycares, she echoed Stick’s point about outdoor access, and said she had “serious concerns” about the location of the proposed centre. The proposed daycare is located 500 meters from an existing daycare on the same street. Cabott said the addition of a van shuttling kids around, as well as parents dropping off and picking up kids, would congest an already-congested area. She also worried about a daycare operating in a former nightclub. The site is the former home of Club 867. Cabott asked Kosick if city staff could speak with childcare specialists about whether this was a proper venue for a daycare centre. Kosick said administration would investigate. Kosick also told Coun. Jocelyn Curteanu that administration would ask Love-to-Learn if it had a waitlist, and whether any of those parents would be open to enrolling their kids at the new location. He told Coun. Steve Roddick that city staff have seen three zoning amendment applications for daycares in the last 14 months. As population in Whitehorse grows, he said he thinks it’s safe to say there will be increased demand for daycares in different areas of the city. Gardiner-Falle said there are currently 32 childcare centres and 21 family dayhomes in Whitehorse, offering a total of 1,236 spaces for childcare, though Gardiner-Falle noted availability fluctuates. She said she could not comment on whether or not there is need of additional spaces.